Sometimes, faith leads you off the beaten path. Such is the case with Andrews University and a group of ministry activists, who have teamed to produce beautiful, leather-bound Bibles designed for prisoners. Known as the prison ministries of the Andrews Study Bible, the book is designed to be a keepsake for inmates and spread the good news, while accommodating their special needs. It’s cheaper than traditional, high-quality Bibles — $20 compared to $100 — but still impressive enough to become treasured behind bars. Bonded with leather and immaculately produced, the Bibles are themselves are a work of art. 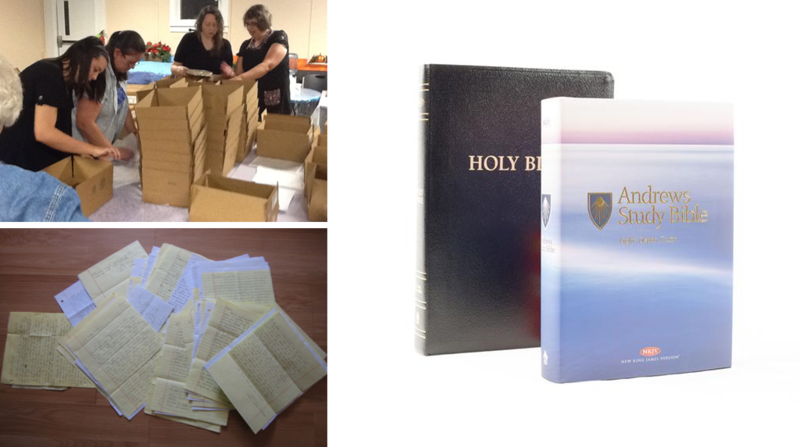 “We believe these Bibles tell the inmate they have value, which matters a lot, as they are mostly shunned by society and forgotten by their families,” Judy Mackie, who runs a nonprofit, Binding Broken Hearts, told the Adventist Review. The partnership began after officials at Andrews University Press — the publishing arm of Andrews University — began noticing Mackie buying their regular, highly acclaimed Bibles in bulk at retail prices, $70-$99 apiece. After Andrews officials reached out to her, the idea took root for a less-expensive but still comprehensive edition of the Andrews Study Bible, which debuted in 2010 and has quickly become one of the most coveted editions of the good book. An initial printing of 5,000 copies of the prison volume in 2014 sold out quickly. Ditto for last year’s run of 5,000. And ditto again for the 2016 pressing. “If you could just see the faces of some of the inmates who have received the Andrews Study Bibles, your heart would melt,” said Dan Preas, a prison ministry leader in Washington. Doing good work is a mission for Andrews University, the flagship school of the Seventh-day Adventist Church. Like the Michigan’s top 15 independent colleges and universities, the schools stress community over conformity. Class sizes are small, allowing students to work closely with professors committed to helping them forge their own path. The world was horrified when a powerful earthquake rocked Haiti in 2010. Within days, 220,000 were dead and $13.5 billion in charitable donations rolled into the tiny, chronically poor island nation. And then, after a few months, the news shifted, sympathies waned and donations slowed. Haiti returned to “normal”: Devastating poverty, corruption and illness. While others left, Madonna University put down roots. The Michigan-based university is marking the fourth year of its Haiti Education Leadership Program (HELP), an online business administration program that teaches English-speaking Haitians. 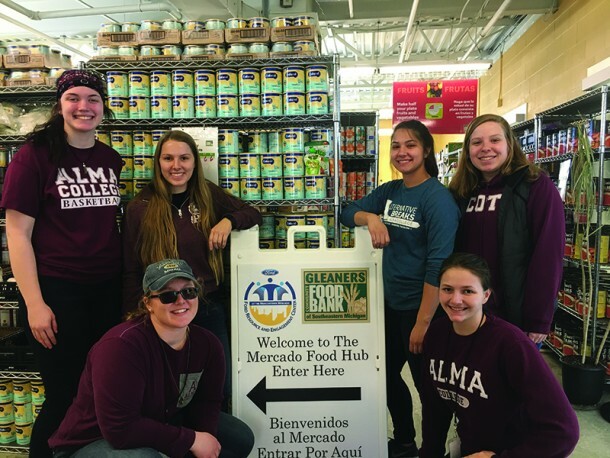 “It sounds cliché, but you help one person at a time,” said Donald Conrad, a business professor who helped found the program. The three-year program graduates about 25 students per year and is believed to be one of the only programs of its kind in Haiti. 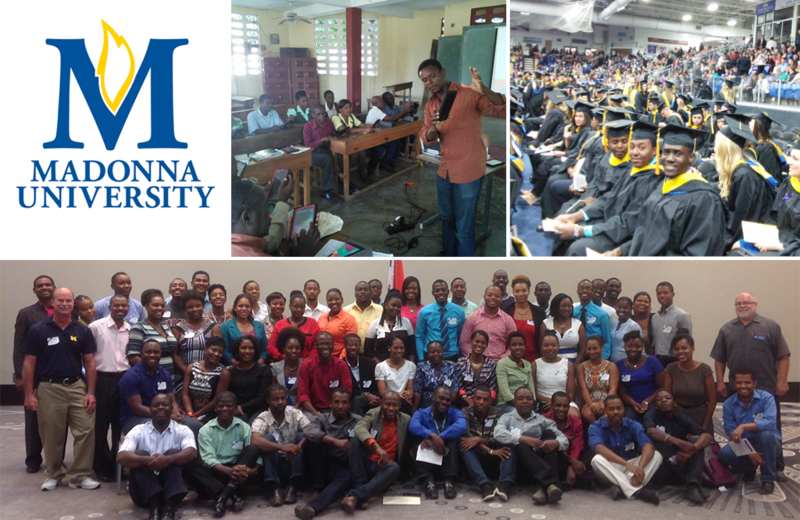 The program trains students on business practices with the goal of expanding the tiny middle class in Haiti. “We want those in the middle to have the chance to create successful businesses and have good careers working for the government or organizations in Haiti,” said Sister Rose Marie Kujawa, who created the program and retired as Madonna University’s president this year. Organizers are in Haiti for the long haul. They hope to expand the program to include new studies such as hospitality management. The benevolence is typical of Michigan’s top 15 independent colleges and universities. Because helping students follow the right path and fulfill their passion is what they do. All emphasize community over crowds and a spirit of togetherness and cohesion that just doesn’t exist at big state schools. With low class sizes and award-winning faculty, the schools are proud that students forge lifelong bonds with professors.